Back pain is a variation of lower back, middle, and upper pain. It is one of the most common reasons individuals seek a doctor. A majority of people have back pain at least once in their lifetime. 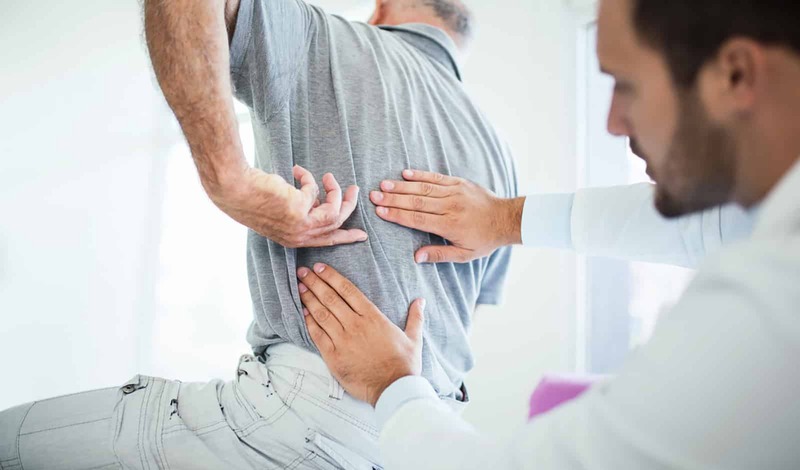 Whether back pain is new for you or something you have been coping with for years, we can help you begin to live pain-free! 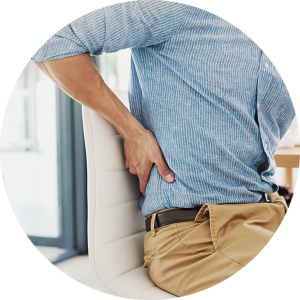 Back pain can be caused by a wide variety of reasons, from a simple injury to an existing condition. We know that living with back pain can really be a burden. Let us help you kick that pesky pain with what we do best! Not only can we help you with your back pain, but you can help you with your back pain. In addition to chiropractic care or physical therapy, there are simple everyday actions you can take to help reduce your pain. A muscle strain in the back is caused by an injury to the muscle or tendon. Back strains can happen due to twisting, pulling, or improper lifting. Chronic strains can also occur if the muscles and tendons are being overused repetitively. A back sprain is caused by stretching or tearing of a ligament. Most back sprain injuries result from falling or twisting, pushing the joint out of its usual position. Injury happens when the ligament is stretched outside the limits of its normal range of motion. Osteoarthritis, also known as wear and tear arthritis, is the most common form of arthritis and can affect certain joints, including the spine. The cartilage that is in the joint can lose elasticity, diminish, and become inflexible leading to pain. Bulging discs usually happen when the soft tissue in the disc bulges and puts pressure on a nerve. 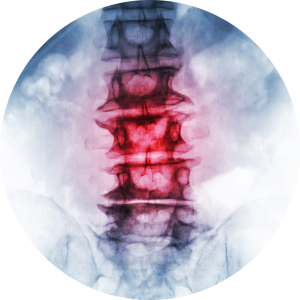 A ruptured disc happens when a disc between vertebrae slip out of their usual place, it will lead to discomfort and pain. It is also possible that a disc will hit a nerve causing numbness unlike a bulging disc. Cervical radiculopathy is often called a pinched nerve. It’s normally caused by a herniated disc or wear-and-tear changes in the spine. This is something that can develop suddenly or gradually. Maintaining a healthy weight decreases strain on the back muscles. Sticking to low-impact exercising will help build strength and flexibility in the back which will enable your muscles to perform much better. Stretching reduces the tension in muscles leading to complete range of motion and mobility. Sustaining a good posture will reduce the risk of future back pain.